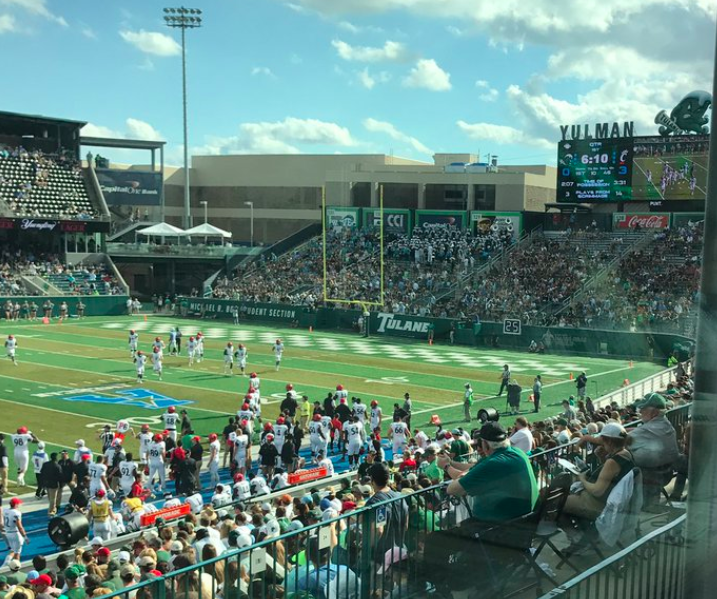 With an upset loss to Cincinnati now in the rear-view mirror and the Green Wave's bowl hopes likely dead for 2017, Tulane now faces the task of showing progress after a painful stretch of football. WF: Disappointing loss. They converted a bunch of third downs, especially early in the ballgame. We had a bunch of opportunities to get touchdowns instead of field goals, we didn't do that. WF: Disappointing at the end of the game. We were trying to cold call it and see what they were in up front, and unfortunately we jumped. That put us into a 4th and 6 and made us need to kick a field goal. We jumped immediately on the play. It was difficult. That put us in a 4th and 6, and I thought that was our only chance, and he [Merek Glover] had his last three. Disappointing. If I could do it over again and saw we weren't lined up properly, I would have used the timeout but I thought we had a nice opportunity to see what they were in. WF: Someone said something about the snap or hold, but it looked okay to me. He might have just mishit it. WF: You know when you can't run it effectively, you've got to throw the football. We started running the ball better in the second half. When they had it defended, it opened up some passing lanes. I thought [Darnell] Mooney had a really good ballgame. Had some big time catches. WF: Particularly early in the ballgame, we need to make them work. We can't keep giving up so many deep plays. I think one time we had a 3rd and, I don't know, close to 20, and we didn't execute very well. YWF: ou have to regroup and go. I told the guys that this is very disappointing. We have had our share of adversity this year, and you have two choices: quit or you start pushing, preparing as well as you can, and playing as well as you can. That's our option. That's our choice. That's what we're going to do. WF: I thought [Jonathan Banks] did some good things. It's a tough position, you have to be right on every play. He's getting better. We need to find the things he can do -- he does some really good things out there.